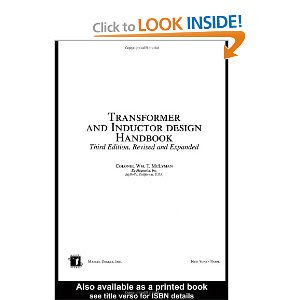 Extensively revised and expanded to present the state-of-the-art in the field, this Third Edition presents a practical approach to transformer and inductor design—extensively covering essential topics such as the area product, Ap, core geometry, and Kg while providing complete information on magnetic materials and core characteristics using step-by-step design examples. Colonel McLyman has forty-seven years of experience in the field of Magnetics, and holds fourteen United States Patents on Magnetics-related concepts. He retired as a Senior Member of the Avionics Equipment Section of the Jet Propulsion Laboratory (JPL) affiliated with the California Institute of Technology in Pasadena, California.